I know that this is an annoying thing to be asked but i am looking for cool/unique/cute names for a crested gecko that i recently got from someone that I know. If you want to know more or help me out, I posted a different thread regarding the crested gecko. Walmart → not going to do this one but it is kind of making fun of the people who name their pets after expensive brands like gucci. Calypso → i thought that this is a really cute name and I have wanted to name a pet this for a while. This name was inspired by one of my favourite drinks Calypso Lemonade which happens to have a lizard on the lid. If you have any name ideas, please do not be scared to tell me because I am always open to suggestions and I love to hear different name ideas. --Come up with a theme (some people like to use whiskeys, some cartoon shows, for example) and look for a name you like in that area. 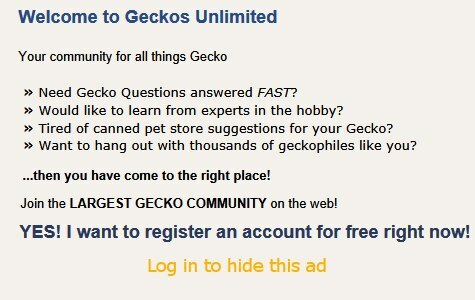 Some people like to do this because if they get more geckos, they can continue the theme. --go to a paint store and get color chips in the same color range as your gecko. Look at the names for the colors. Often you'll find words that appeal. I like the paint chip idea, that is a really creative way of finding name ideas. Thank you I’ll definitely have to try that out. Thank you. All replies are appreciated. If you have nothing nice to day, don’t say it.